Ocean Routing Pt 1, or How do I Cross the Pacific? With just a couple of weeks to go until I jump aboard the Clipper yacht Singapore for a grueling race almost halfway around the world from Qingdao, China to New York, thoughts turn to the North Pacific part of the race and more specifically, how do I get to California from China? On Google Maps (or most flat maps, known as Mercator projections) the route – at first glance – looks fairly straight forward. Simply round the southern tip of Japan and head east straight across the Pacific, passing a tad north of Hawaii on the way to California. Unfortunately, the Earth isn’t flat, so such a route isn’t practical. Because the earth is round (technically, an oblate spheriod) the great circle route will actually be the shortest distance between two points. To visualize this, imagine a sphere with the top and bottom representing the poles. A great circle would divide the sphere into two equal hemispheres. 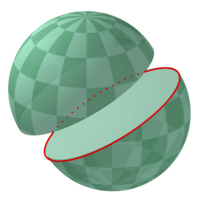 If you did the math (which I will spare the reader here) this cut would represent the shortest distance between two points on the surface of the sphere along that line. 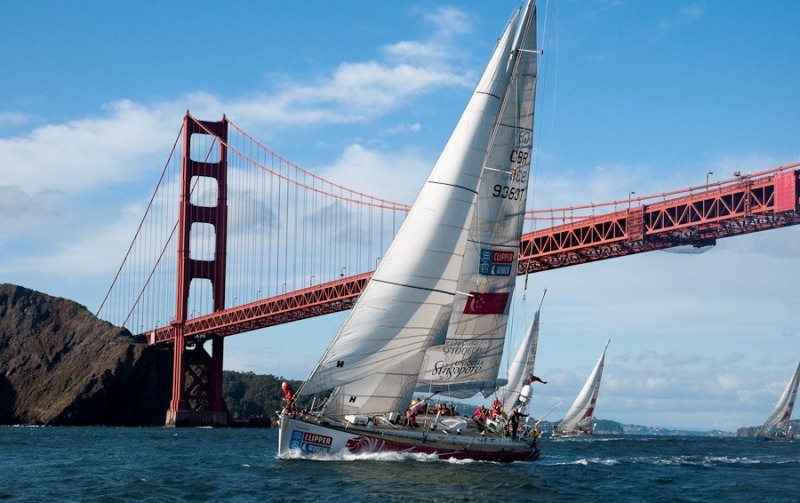 What does that mean for the Clipper Race on the leg from Qingdao, China to San Francisco? It basically means that the shortest distance (great circle route) will take us relatively close to Alaska’s Aleutian Islands. Any thoughts I initially had of idyllically sailing by Hawaii on the way to California were unfortunately just whimsical fantasies. Instead, it will be a cold slog through the North Pacific at a time when storms race across the ocean from Japan and even Siberia to Alaska. Although the great circle route is the optimal route for crossing oceans, there is actually much more to plotting a route across the North Pacific then just following the great circle. For sailboats, weather plays a large role in ocean routing. Being found under a high pressure system with associated sunny weather, can typically mean little to no wind. Not the best conditions if you’re trying to win an ocean race. Conversely, being stuck under an intense low pressure system can mean gale or hurricane force winds with reduced (or no) sails and being tossed about to-and-fro at the mercy of the weather gods. That’s also not ideal for winning a race. The happy medium lies somewhere in between, and here is where planning is essential both for winning a race or a podium finish and for safety. For offshore racing, optimal route planning takes into account the great circle route as a first step. Then, prevailing or forecasted ocean currents should be taken into consideration, and last but certainly not least, forecasted weather. Leg six from Qingdao to San Francisco can be broken down into three sections for route planning. The first is from Qingdao, down through the East China Sea to the southern tip of Japan. The next section is along the coast of Japan and the Eastern North Pacific to roughly the international dateline. The third and last section is the Western North Pacific and offshore the U.S. coastline to the Golden Gate bridge. On the first section, leaving Qingdao and sailing through the East China Sea to the tip of Japan, the route is fairly straight forward. Just head southeast towards the southern tip of Japan and avoid any islands along the way. The currents in the East China Sea are primarily wind-driven and thus do not hold much tactical advantage. As far as the weather is concerned March tends to be the busy time of the year for lows to develop near the south coast of Japan. Rounding the southern tip of Japan, the route follows the Japanese coast midway up threading between various islands southwest of Kyushu and later, south of central Japan. 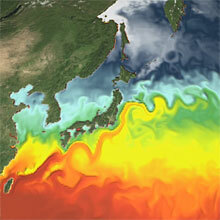 Flowing along the coast of Japan is the Kuroshio current, one of the largest ocean currents in the world. The Kuroshio current typically flows around 3 knots, but can flow at speeds of 4 knots or more in some places. Because of the swift speeds of the Kuroshio current (it can travel 75 miles or more in a day), it can play a major role in gaining a tactical advantage in the race up the Japanese coast and out into the eastern portion of the North Pacific. Finding the swiftest part of the current can quickly spring a boat into a decisive lead. The Kuroshio current carries warm water up from the equatorial region, and because of this, it has a major impact on the development of weather systems over the Pacific Ocean, in particular in the early spring, when Mongolian cold weather meets the warm waters of the Kuroshio current. The area south of Japan is one of the areas where low pressure systems (i.e. rain and wind) develop before the storms generally move northeast towards the Bering Sea and Alaska. 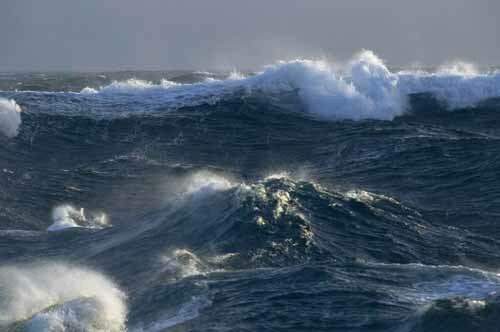 Because of the swiftness of the northeasterly flowing current, strong winds out of the north can quickly lead to steep waves that are bone-jarring as the boat drops off the back side (wind against tide tends to form rather steep choppy waves). Trying to sail through these types of waves can also slow the boat down considerably, so finding the balance between riding the current and optimal wind angles become critical. Midway up the Japanese coast, the great circle route begins its long arc across the North Pacific crossing the International Dateline at around 44° North. However, during March winter conditions tend to prevail (i.e. strong storms!) which will demand a more southerly route with us likely crossing the meridian around 40° N. Through much of the Pacific crossing, the currents are generally easterly with no real difference in location or speed (the North Pacific Gyre is relatively constant here). The trick on this section of the race is to find the sweet spot between not going too far north and risk being beset by fierce Pacific storms or going too far south and being becalmed by the Pacific High. 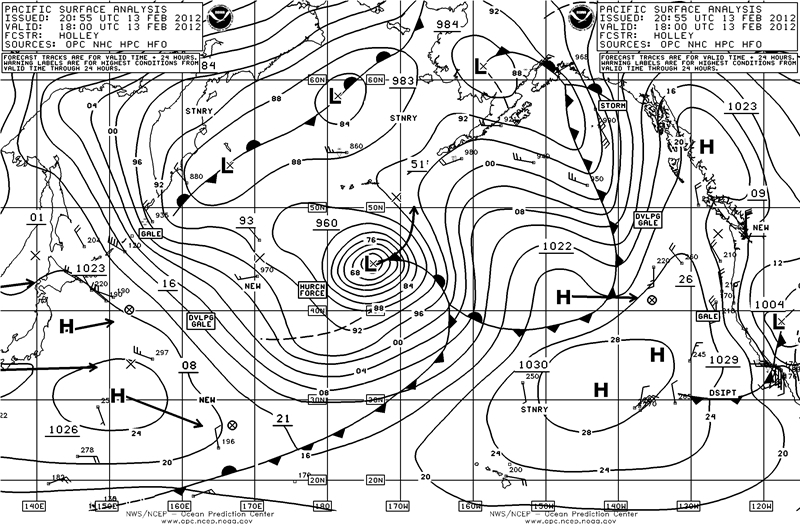 As the synoptic chart (large-scale weather chart) below shows, lows (L) with hurricane force winds can develop around 44° N, while the Pacific High (H) and associated light-to-no winds can reach up to 38° N. Successfully threading the way between these type of moving weather systems in mid- to late-March will be the key to either gaining or maintain a leading position. After crossing the International Dateline (which separates the Eastern and Western Hemispheres), the sailing route will likely continue due east for a bit before beginning to dip south. Weather patterns on this side of the Pacific tend to be more stable and are really determined by the Pacific High (technically known as the North Pacific subtropical anticyclone) which tends to be a relatively stationary weather system over the mid-North Pacific Ocean. Roughly, 300 miles from the US coast, the California current (which is the eastern component of the North Pacific Gyre) runs down the western coast at a relatively slow speed of about half a knot. As with other currents associated with the North Pacific Gyre, eddies or counter-currents can spin off the main current stream. While generally weak, they flow in the opposite direction of the direction you want to go and if caught in them, could slow the boat down enough to drop back in race standings. Weather-wise, there is little to worry about on this section as the fierce Pacific storms are well north of our track, so our route will likely follow rather closely to the great circle route until we finally sail under the majestic spires of the Golden Gate Bridge. This entry was posted in Navigation, Ocean Racing and tagged California current, Clipper Round the World, great circle route, Kuroshio current, North Pacific Gyre, North Pacific Ocean, ocean routing on February 14, 2012 by Greg Kyle (ChefonaBoat).